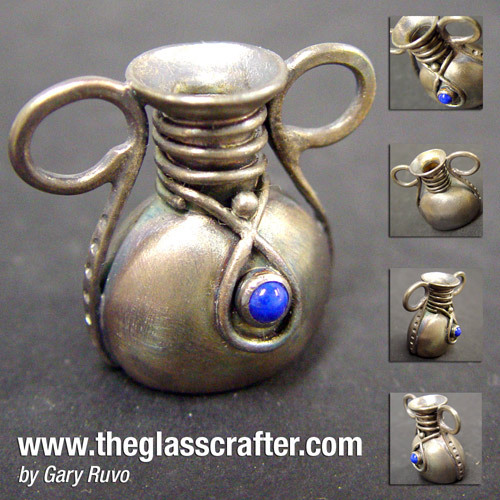 This mini vase stands 1.2 inches high and features a 4mm lapis. Take a closer look to the details on the side. Also Inside the vase there is a hidden heart solder to the base and can be seen when looking it to the bottle.